The surprisingly complex nature of the permit test ultimately results in a shocking number of failed exams. There are few things more humiliating than leaving the Department of Motor Vehicles (DMV) empty handed after taking a permit test. The best way to avoid such a terrifying prospect is to prepare for the test ahead of time. For many driving hopefuls, this means taking several practice tests before pursuing the real deal. 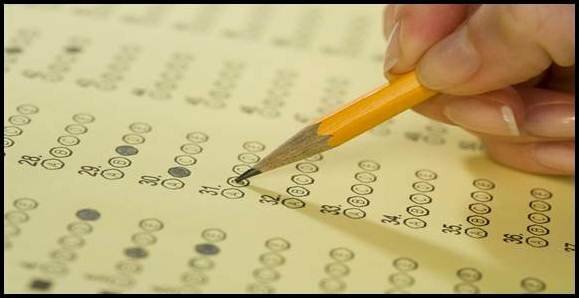 We are proud to offer a completely free practice test for students worried about failing the official exam. This preparatory test includes several questions similar to those featured in the official version. After answering practice questions, the real permit test will feel old hat. What's more, the trial run will help you conquer your nerves, so that, when the real test arrives, you can focus on the actual questions, and not your paralyzing sense of fear. The best thing about our practice test, of course, it that it's one hundred percent free! Freebies are always great, but they're even better when they allow you to pass your permit test with flying colors. Our exclusive practice test is found online, so you don't have to worry about messing up your computer or mobile device with obnoxious downloads. Intrusive tracking is also left out, thus allowing you to access your test without any additional complications. Not only does our free test lack downloads and tracking, it leaves out the annoying sign-up process. It already takes you ages to sort with your inbox -- why sign up for extra email spam? Checking answers on a paper-based practice test is annoying, but fortunately, our online version cuts out all the hassle and gives you instant feedback. You'll immediately know which answers you got wrong and why. This will quickly amp up your mastery of the material, leaving you better prepared for the real test. If you are taking the permit test for the first time and are worried about passing, you definitely could use a run-through with our practice test. However, the exam is not limited to first-time permit applicants. If you've had your license revoked or otherwise lost driving privileges, the practice test should serve as an excellent refresher before your retake the permit test. And if you're preparing to convert your out-of-state license to a United States driver license after living in a different country, the practice exam will get you up to speed on all the rules and regulations specific to the US. There's no such thing as being too prepared for your permit test. No matter the circumstances surrounding your upcoming testing date, you stand to benefit from our exclusive practice exam. It's time to brush up on your driving knowledge!